This is a detail of Hector Castells Matutano’s installation currently on show at The Royal College of Art (finishing 1st July 2012). 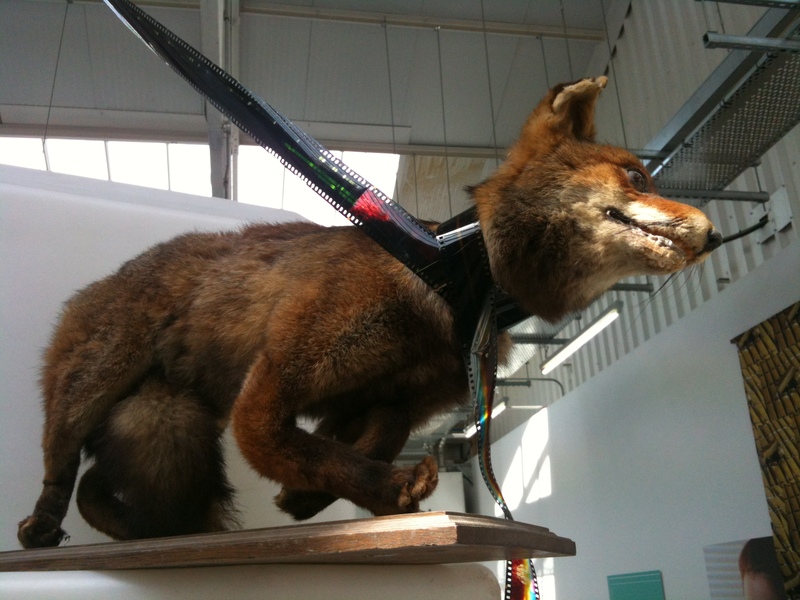 It features a stuffed fox seemingly strangled by a strip of film, the legs twisted and contorted into a hideously unnatural position. An image of an animal broken, tortured and strangled, as property, as art. At least that is how it appeared to me. I contacted Matutano and tried to set up an email interview to find out more about his work but I received no reply to my questions. 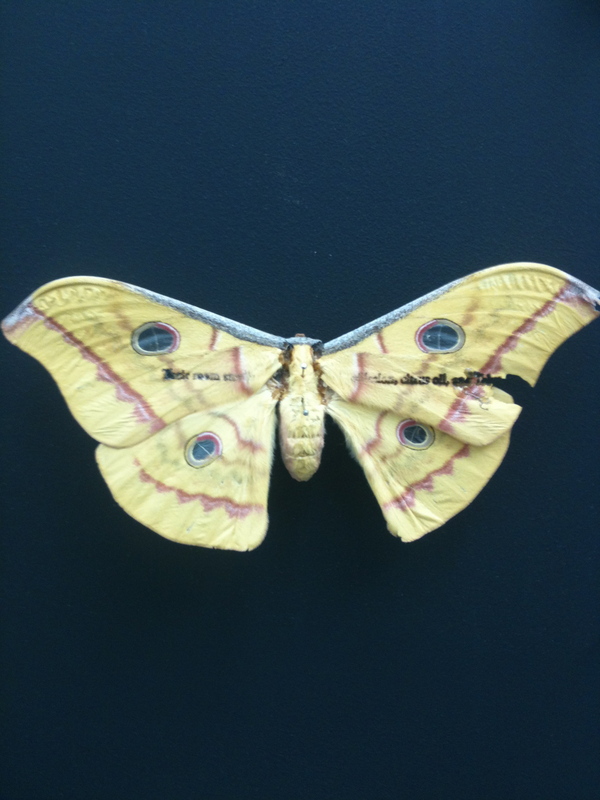 Just that he studied biology before art. 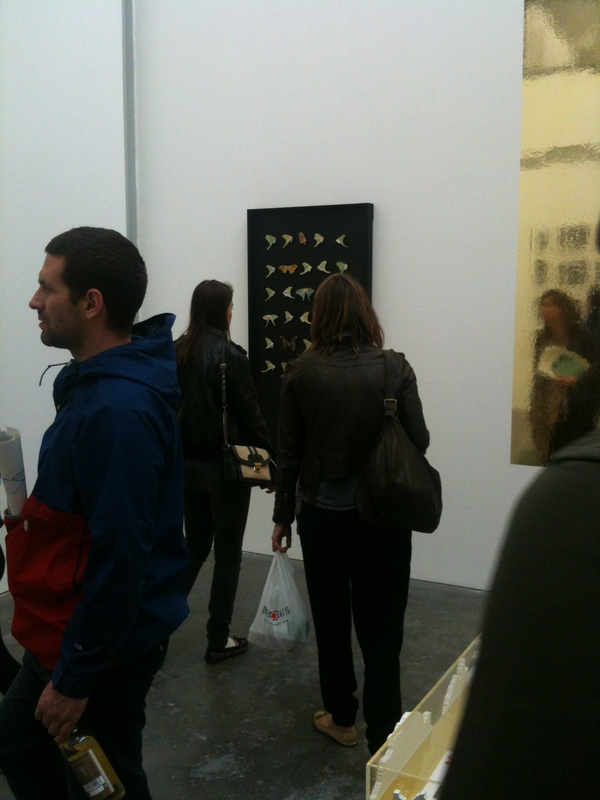 RCA current graduates also include Lily Cain who displayed dead butterflies as art, pinned to a board with images on them. She was also unavailable for comment. I understand that my blog is dedicated to anti-speciesism and critical from the off, of artists who use animals in their work, but I’m still a little surprised that so few artists and curators are prepared to answer the questions I send to them. During my time at the RCA – only last year – considering difficult questions about your work was seen as a major part of developing as an artist.